Spectacular apartment in perfect conditions with 2 bedrooms in one of the best complexes of Los Arqueros, Los Naranjos, with 24 hour security and only a few steps from the golf course. 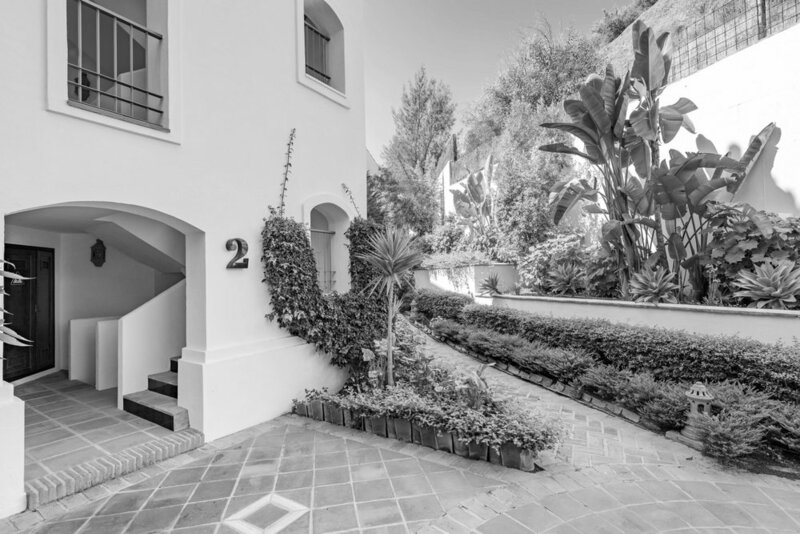 Bright 2-bedroom apartment located in a beautiful complex with Mediterranean style, only some minutes walking distance from the Country Club Golf Los Arqueros in Benahavís. The apartment stands out for its privacy, good distribution and great style. This property has a wonderful living room with a generous terrace with breathtaking panoramic views of the Mediterranean coast, fully equipped kitchen, large master bedroom with en suite bath and another bedroom and a bathroom. In addition, the price includes a comfortable garage space. The perfect holiday apartment or permanent residence, you decide! !